Nikki Bouchier has been in the horticultural field for over 20 years and is the owner of Off the Wall Greenscapes. Originally from Minneapolis, MN she grew up working in various types of horticultural jobs throughout the metro area. From retail nurseries and floral shops to production greenhouses and residential landscaping companies she experienced as much as she could when it came to working with plants and flowers. While living in Minneapolis Nikki explored many different areas of horticulture, including the beautiful Como Park Zoo and Conservatory in St. Paul, MN. Particularly in the North Gardens where all of the edible and medicinal plants are housed. Revitalization of Bonnycastle Park, Assiniboine Ave. near the Forks, along the river walk. Nikki has had the opportunity to work for the Assiniboine Park Conservancy for the 2005, 2006 and again in the 2017 season, helping to plant the attractive English Gardens and other areas of the park. She has also had the opportunity to work for the City of Winnipeg’s Parks and Open Spaces department as a lead gardener, as well as the Winnipeg Forestry Department helping to save the Elm tree population. 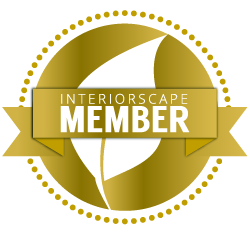 Off the Wall Greenscapes is constantly striving to stay up to date with the latest interior landscaping trends and innovative green products that are becoming more popular as well as beneficial to people and their interior environments. It’s exciting to be able to introduce the many green products and options that are available to business owners, employees and residents of Winnipeg!